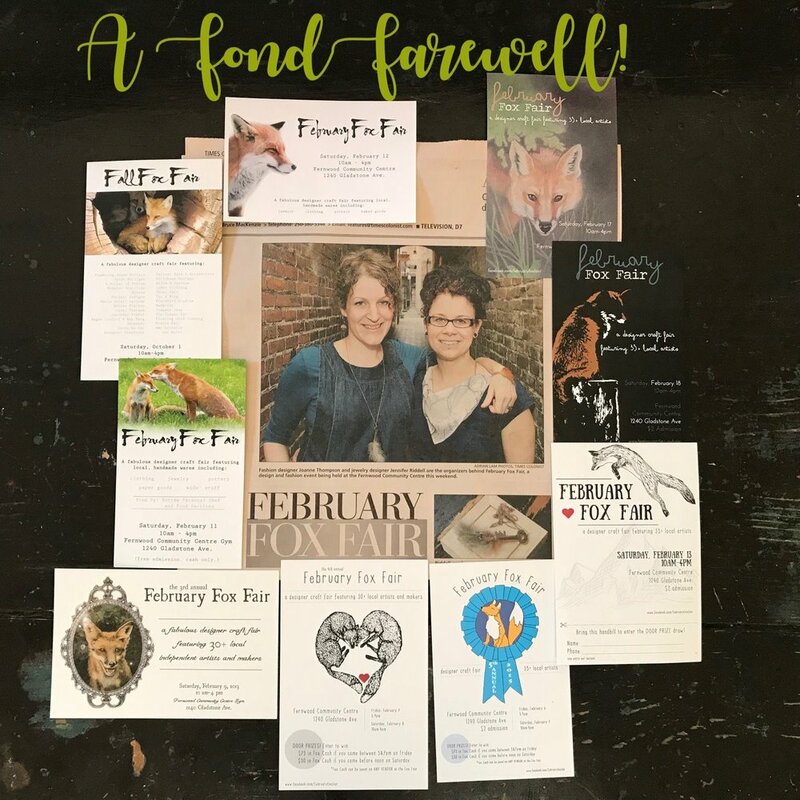 In 2011, Jennifer Riddel (Wandering Hive) joined forces with friend and fellow crafter Joanne Thompson (Toy and Ming) to put together the February Fox Fair. Their vision: an early spring market to tide shoppers over until the summer ones start up (and cleverly scheduled just before Valentine's Day). The first fair was such a smashing success that the ladies decided to make it an annual event. After 8 years and 9 fairs (there was one Fall Fox Fair), Jennifer and Joanne have made the decision to move on from the February Fox Fair. A HUGE “Thank you” to all the talented vendors and supportive shoppers who helped to build a sense of community around the Fox Fair - It couldn’t have been such a great success without you! Wandering Hive and ToyandMing will see you around at some of Victoria’s many other fantastic markets. Check out the Events page for Wandering Hive’s upcoming schedule.